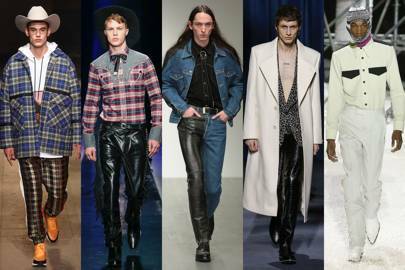 23 augustus 2018 22 maart 2019 Categorieën Fashion, Fashion Weeksautumn, AW18, Fashion, fashionstyle, fashionweek, Inspiration, menslook, menstyle, passion, shearlingPlaats een reactie op AW’18 Here’s What You Should Know And Wear! 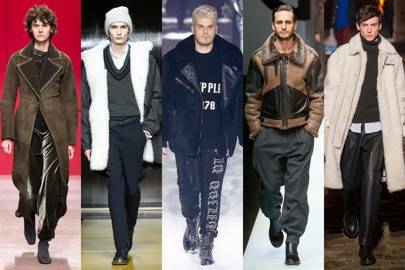 As fashion changes fast and, sorry, men are not always up to date on the latest trends, I thought I might help you guys a hand and share some trends for the upcoming (and my favorite) season! Scroll down, read and see and yes, get inspired! 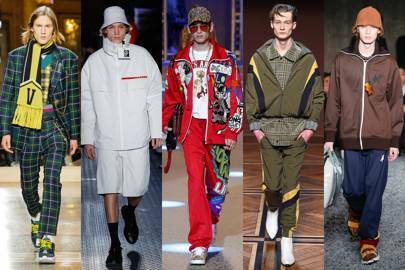 From oversized and fugly sneakers, shell suits, bucket hats and tracksuits, the 90s trend is hitting its stride for AW’18. Seriously following each fashion-trend? 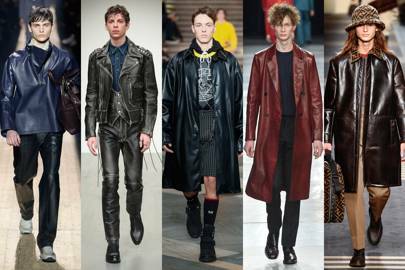 You better like the Matrix then – there was quite a distinctive leather vibe in this seaons fashionweeks. Ultralong and oversized leather coats are everywhere! My favorite and logical trend – a high quality sherling will last you a lifetime and keeps you warm during freezing winters. For those of you who cannot afford (including myself) a nice Fendi or Armani shearling – Zara/H&M did not dissapoint! The bigger the better and quite frankly – I don’t really mind. To be honest, it is a trend that I’ve seen across the gram for quite a while already but totally digging it. Although uncertain it might suit me – I love it! 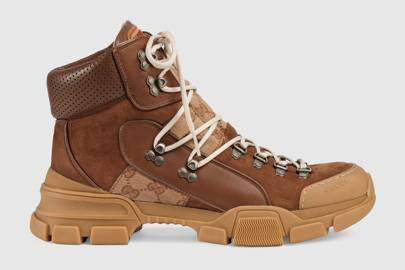 You might not fancy hiking but obviously you’re getting the point. 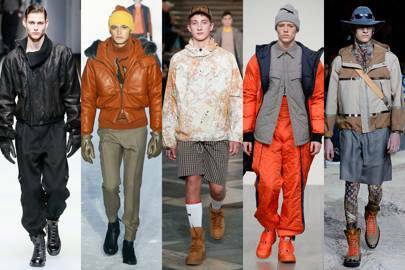 This technical outerwear is not abating anytime soon – although I must admit, I am not a huge fan of this trend. 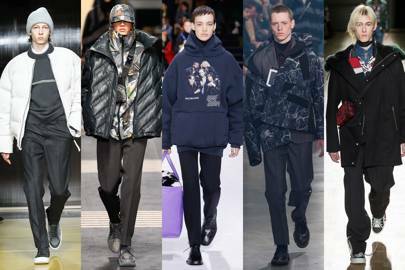 Whether it are oversized puffer jackets, ultra-long down-filled jackets, nylon or hardwearing velrco – it is a trend that just keeps on going! 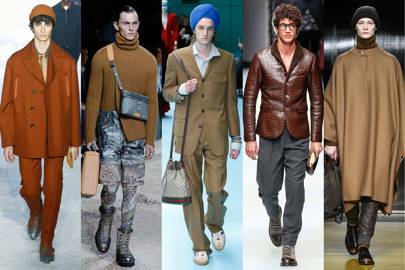 As all might know & if you don’t you better get your facts straight, I LOVE CAMEL/BROWN! You can therefore understand my excitement about this trend. Brown is the shade of season, THANK GOD. You might think UPS and scouting outfits are dull – no, it’s called fashion honey. And the more the better – clashing? Even better! Versace might have led the charge, others are definately following! 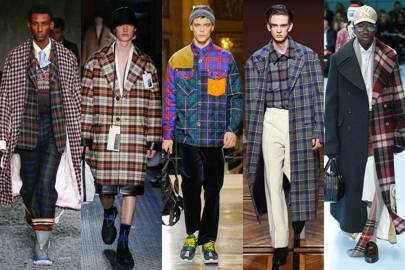 from oversized coats, shoes, jackets, vests and shirts – the more the better! It might not completely be my style but it has been going on for a while know and it does not seem to stop! Cowboy boots, hats, bottoms and tops, get fully dressed and ready fo a rodeo! Anyway, I hope you enjoyed watching and reading this piece as I would like to share more in the future. What do you think? Let me know!